New Albany has put the right elements together to foster long-term sustainable growth by proactively planning for and managing commercial development in a way that strengthens the community’s tax base and increases revenue for the city and our schools while protecting the desirable quality of life residents enjoy. Since 1998, New Albany has attracted more than $3 billion in private investment resulting in more than 11 million square feet of development, 15,000 jobs and more than $100 million in income tax revenue. 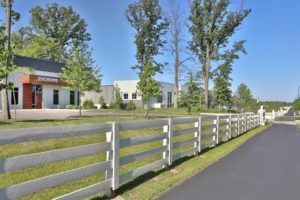 Today, income taxes, much of which are derived from our business park, account for more than 80% of the New Albany’s annual general fund budget. Commercial development has also generated more than three times the amount of property tax revenue than our schools would have received if the land in the park had remained undeveloped. 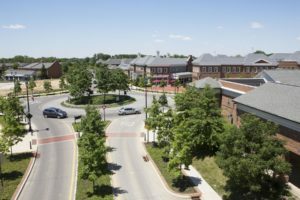 As a master-planned community, New Albany’s approach to sustainable development attracts a diverse mix of new business investment while encouraging retention and expansion. The largest master planned business park in the region, the New Albany International Business Park enables the city to achieve robust growth while avoiding the pitfalls of typical suburban sprawl. The master plan is continually updated with input from residents, businesses and other community stakeholders. By aggressively leveraging public-private partnerships to promote business investment, New Albany has saved millions of dollars. For example, an agreement with American Electric Power (AEP), when the company located its mission critical transmission center here, allowed the city to lease the company’s advanced fiber optic network instead of building its own. Utilizing AEP’s network saved the community $7.5 million and created a strong competitive advantage. The robust, carrier neutral fiber infrastructure was among the primary reasons that Nationwide Insurance and TJX Companies selected New Albany for their mission-critical facilities after nationwide searches. Location planning decisions are made easier for businesses thanks to New Albany’s technology- and shovel-ready commercial sites that meet the latest site selection criteria, enable businesses to efficiently expedite relocation and expansion decisions, minimize business disruption and maximize their return on investment. Used throughout the nation, temporary economic incentives are an investment in the city’s future and put New Albany on an equal playing field when competing for business. Each incentive is carefully evaluated to ensure a strong return on investment for the city and schools. The criteria for each incentive is based on a formula that calculates revenue generation per square footage of commercial development for each type of industry cluster. The formula was developed through a public process that established benchmarks and metrics prior to the business park opening in 1998. The benchmarks and metrics are periodically reviewed with public input. Commercial development in the New Albany International Business Park supports our local economy and our schools. To date, businesses have invested $3 billion dollars in New Albany and created 15,000 new jobs. 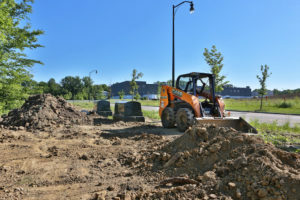 Tax revenue from the business park generates more than 80 percent of the city’s general fund revenues to support city services, including police protection, road maintenance, leisure trails, snow plowing and leaf collection. Rezoning from agricultural or residential to commercial increases property values resulting in more tax revenue for our schools. 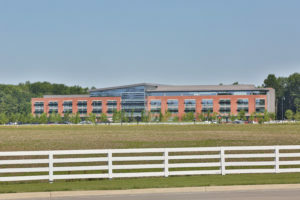 The additional 11 million square feet of development at the business park has generated $64 million in total property and income tax revenue for our schools — three times more property tax revenue and 10 times more total tax revenue than the schools would have received if the property had remained undeveloped. "New Albany, Ohio, is America's best suburb."